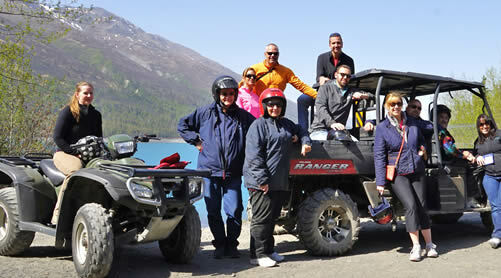 A great spot for the day or an overnight; Ekultna Lake Recreation Area has you covered. 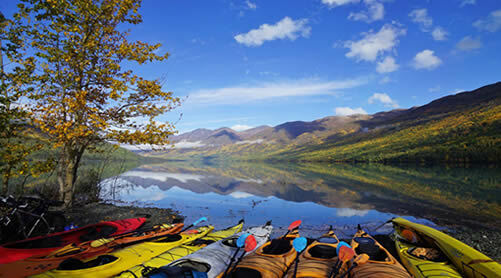 Eklutna Lake Recreation Area is located 45 minutes from downtown Anchorage and is a phenomenal place to learn kayaking, rent a bike, or explore by independently hiking. Lifetime adventures can help you experience this area whether you are exploring on your own or with a large group. Eklutna Lake Recreation Area has 26 miles of well-marked and user-friendly trails where the biking and hiking opportunities are endless! 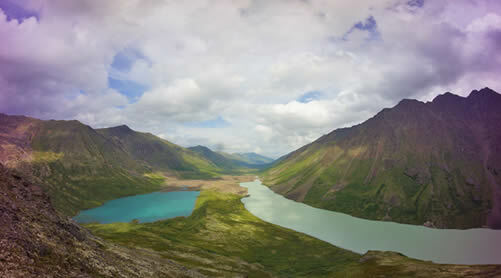 Ekultna Lake, with its turquoise waters, is a great place to experience kayaking in the Alaskan wilderness. Whether you are a beginner or more advanced kayaker, Ekultna Lake offers spectacular views and supreme serenity by kayak. 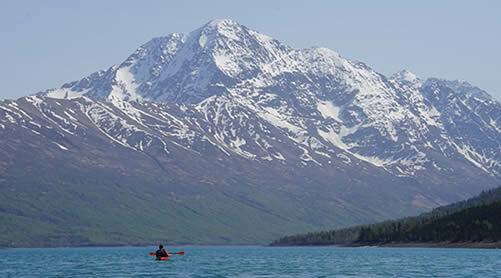 The winds at Eklutna Lake are calmest during the morning hours with west wind thermals increasing during the day. These winds will make the lake choppy however they usually are not strong enough to prevent kayaking. During East wind storms we will not be renting kayaks. 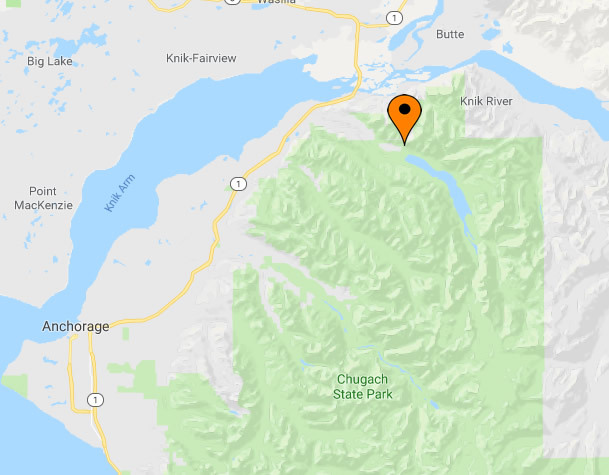 Lifetime Adventures operates the Visitor’s Center where maps and staff are available to assist with your trip planning, whether it’s for the day or a more challenging adventure traversing the glacier to Crow Pass. Our most popular option is the Paddle & Pedal. Kayak out 8 miles one-way to the end of the lake where you will have a bike waiting for the return trip! This trip takes 5 to 6 hours to complete; you must arrive at the Lifetime Adventures Visitor’s Center by 1045am to return before closing. This trip is available on Sunday, Monday, Tuesday, and Wednesday only. Kayak one way, bike the other. Hike at the end of the lake back to the glacier. You will camp at the far end of the lake in the Lifetime Adventures wall tent camp. 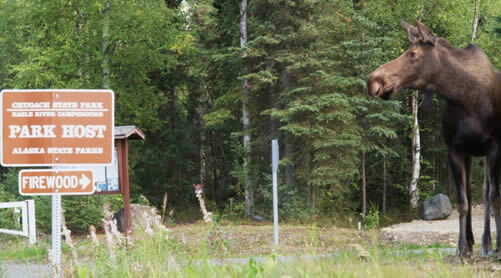 Includes an Alaska Style dinner and pick up/drop off from Anchorage or the Mat–Su Valley. To ensure your trip, reservations are recommended. Must have reservations 24 hours in advance. 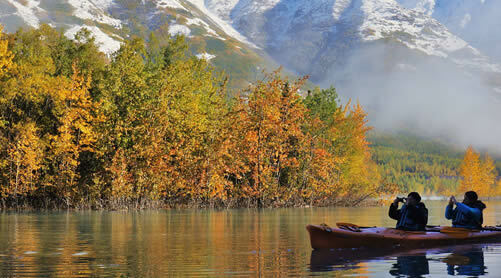 Spend the day with a Lifetime Adventures guide who will assist you in learning to paddle. Lunch included. Pick up/drop off available from in Anchorage or the Mat-Su Valley. 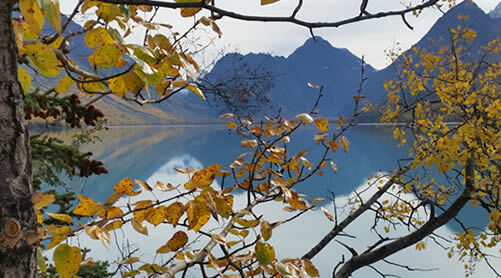 Enjoy Eklutna Lake’s turquoise water and surrounding mountains as you bike 8 miles to the far end of the lake for a picnic lunch. Picnic lunch included. 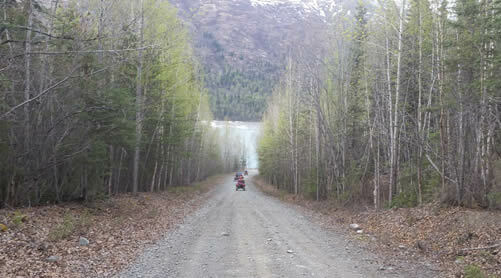 Located on the Lakeside Trail in Chugach State Park. Kayak rental price is per kayak. All rentals include safety equipment. All kayakers renting a kayak from Lifetime Adventures must be paddling with at least one other person. Kayak lesson Includes 2-hour rental: $55 per person. Two person minimum requirement.